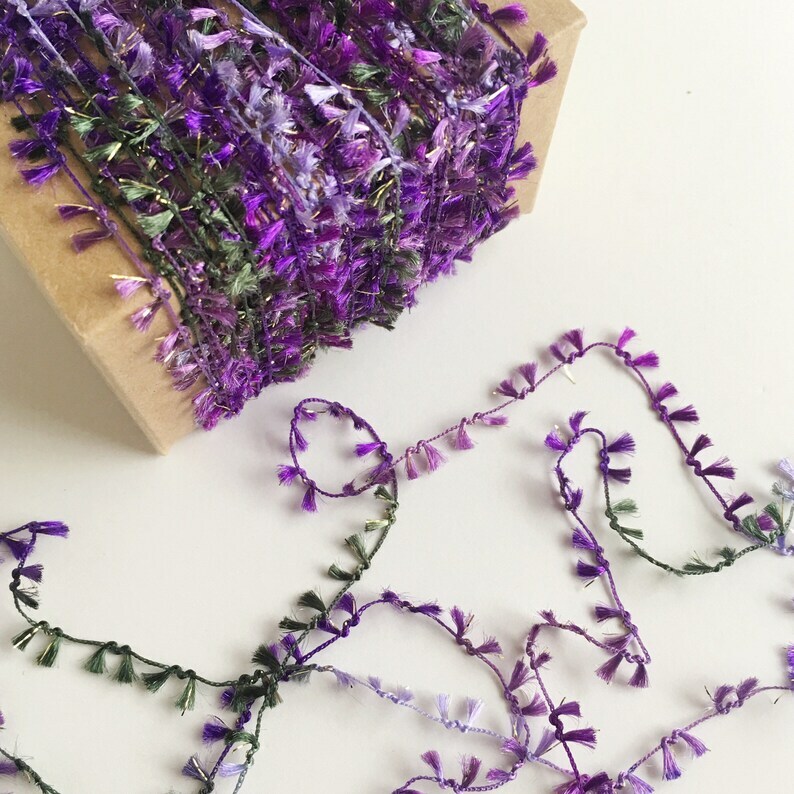 This listing is for 125+ yards of lovely petite butterfly twine in shades of purple and green. You will find this dainty twine so beautiful. With flecks of metallic gold throughout, it's just stunning! This twine is perfect for gift wrapping, packaging, parties, weddings, crafting, scrapbooking and more. Butterfly poms measure approximately 4 mm wide and are roughly 7 mm apart.